"Vijfhuizerweg" alongside runway 01L / 19R. 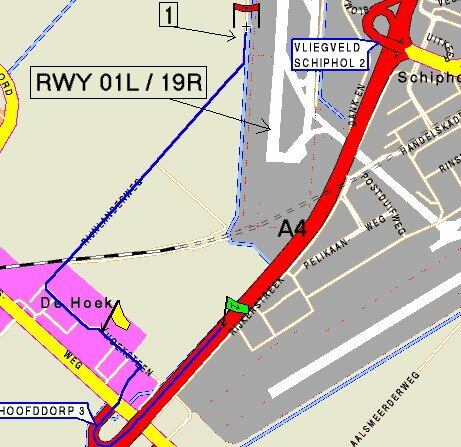 It's the best spot at Schiphol if this runway is in use. Both on landing and take off good view. Also a fairly good view of runway 09 from here.